Workshops and trainings are favourite instruments of donor organisations to develop capacity with their target groups. Also VVOB Cambodia regularly organizes workshops, usually trainings on pedagogy and multimedia geared towards teacher trainers and government staff. Measuring their success is notoriously hard. Workshop evaluation sheets are invariably positive, and heavily affected by response and cultural bias. Response bias means that participants write down what they think you would like them to fill in (‘the facilitator was great’) or what they think would be most beneficially to them (‘We need more workshops’). Cultural bias refers to the non-western organisation of Cambodia society. 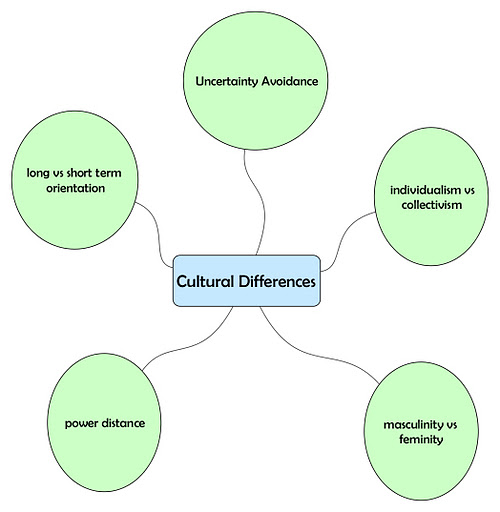 Hofstede developed a five-dimensional model for describing cultural differences. There’s a fair amount of critique on Hofstede’s model for over-generalizing individual differences and being based on a non-representative sample of highly-trained corporate workers. Personally, I find the model useful as an attempt to make cultural differences explicit, and Hofstede’s book on ‘Culture and Organisations’ is on my reading list. Berkvens et al. (2012) have made an analysis of Cambodia’s cultural position on Hofstede’s 5 dimensional model. need for safe learning environment in which trust is established among participants and between participants and facilitator. Guskey (2000) has developed a model for measuring the success of professional development initiatives. It provides a template for evaluating workshops, urging evaluators to look beyond participants’ reactions immediately after the workshop. I plan to try out the model during upcoming training initiatives in 2012. Berkvens, J.B.Y., Kalyanpur, M., Kuiper, W. and Van den Akker, J. (2011) ‘Improving adult learning and professional development in a post-conflict area: The case of Cambodia’, International Journal of Educational Development, 32, pp. 241–251. This entry was posted in Cambodia, development, student-centred approaches.